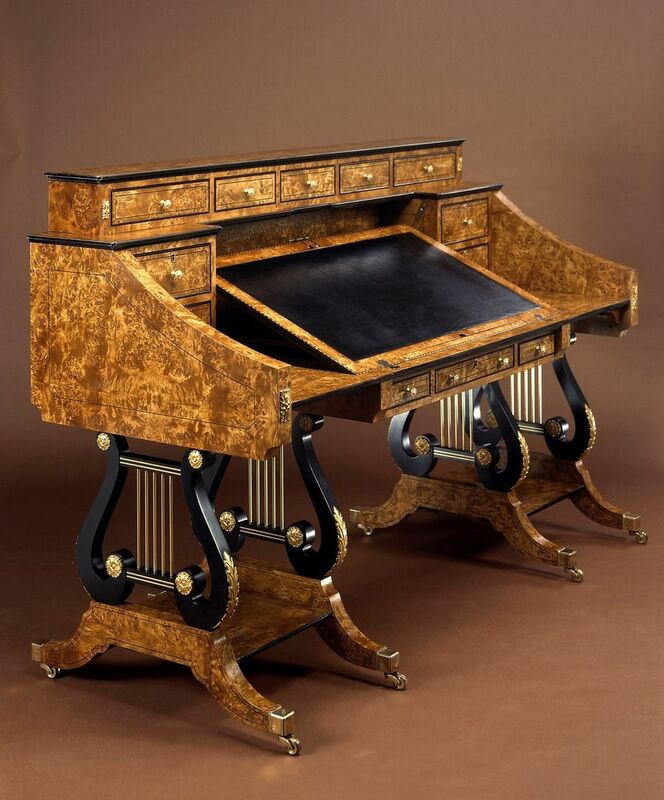 There is a lot of careful handwork in this desk: the matching of it mappa burl veneered surfaces, the gilded carvings, the ebony string inlay and accents, the brass and maple lyre-shaped legs. And there's engineering too: I designed and fabricated a special brass mechanism to support the desk surface at different angles. In all, it is a tremendously satisfying piece of work.